The key is to find a program that works well for your child. The first step is to get an idea of what a child’s strengthens and weaknesses are in the target language before beginning a search for a summer foreign language program. This will help in deciding which program might be the best fit. A child who is struggling with reading and writing would likely benefit most from a summer program that incorporates as much literacy as possible in fun and engaging ways. For a child who is having difficulties with pronunciation or general communication, a summer program that focuses on verbal elements would be preferable. The overall goal is to help a bilingual child feel more comfortable in the target language and to boost overall language confidence. What kind of program is it? It is important to find out how the program is structured and whether or not it is a good fit for your child. Will the children be using their language while doing craft projects or will they primarily be sitting at desks and doing book work? Will children be working on language during field trips to the zoo and museums or will they stay in one location the whole time? Find out what the overall goal of the program is and whether or not the children will be assessed at the end. A good language program should be able to give you a clear outline of how the program is structured and what the learning objectives are. How long is the program? Find out how many hours the program runs each day and for how many weeks. A program that is short (a few days to a week) has the benefit of rapidly immersing children fully in a language but it often only works well for children who can quickly get comfortable in new situations with new people. Children who need more time to warm up to an environment may just be getting comfortable when the program ends. An all-day program may exhaust some children while other children will be begging to stay even longer each day. Who is the teaching staff? Some programs have teachers skilled in bilingual education, while others do not. Some pay special attention to only having teachers who are native speakers of the language, while others focus more on pedagogical needs. A good program will have both: a good mixture of educational know-how and native-speaker talent. Find out who will be spending the most time with your child and whether their goals for the summer language program matches your expectations. How big is the program? Usually summer language program classes are not very big. This is due, in part, to the fact that most summer language programs don’t have a lot of students. However, this is not the case for all programs, so make sure to find out. If your child does best in small group settings, then you may want to avoid programs that consist of larger groups of children. On the other hand, if the summer language program is large enough and employs a large staff, then you may have the opportunity to speak with the administrators to organize a special program for your child, one that focuses on your child’s particular needs. What does it cost? Summer language programs often come with a steep price tag, so be prepared. However, you may be able to find a way to make it financially viable via stipends or reduced rates. 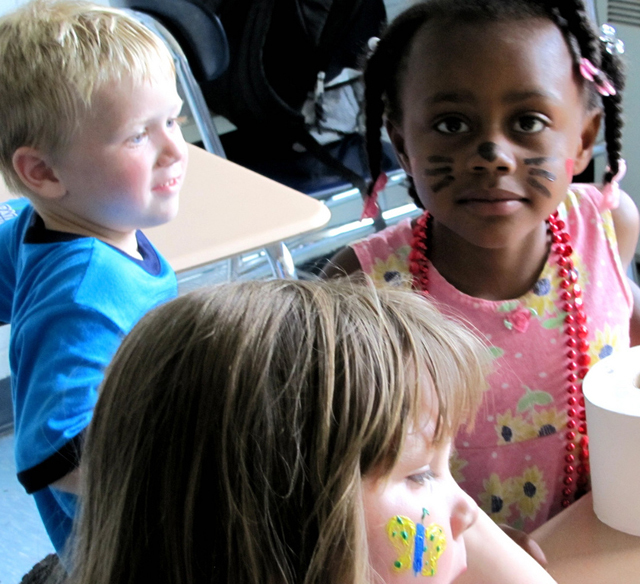 Many summer dual language programs are supported financially by the US or local government. A foreign language program may be financed by a country overseas which is eager to help keep the program going. Find out if there are any ways for the cost to be reduced or if there is financial aid available. At the very least, most programs offer sibling discounts if two or more children are attending at the same time. Where do I find a program? Teachers can help parents find good programs for bilingual children by compiling a list of local programs ahead of time. A list that has the name and contact information for the program, which languages are supported, and a brief description about the program can help a parent take the next step of contacting potential programs. If a teacher feels that a particular program is especially strong, then this should be mentioned as well. Parents can do their own internet searches with word like “Arabic summer language class” or “summer language camp Boston.” Search for and contact local language schools as well. Ask them if they have a summer language program or if they can recommend one. The more schools and people you contact, the more programs you are bound to find. Won’t a summer language program be exhausting for my child? Not all summer language programs are created equal. The best ones will incorporate language learning together with activities, projects, reading out loud, and more. A skilled summer language program teacher knows how to help bilingual children excel in language skills while having a fantastic time. Even grammar rules can be learned while jumping rope and singing a song. In fact, a summer language program may be the highlight of your bilingual child’s summertime experiences. Often parents do not send their children to summer language programs simply because they are not aware that such programs exist in their area. Others are not aware of the many benefits that a summer language program can provide. Good communication between teachers and parents can help mitigate this. Teachers can give parents a list of programs in early spring so that parents will have the opportunity to sign up their children as soon as the summer language programs begin to open for enrollment (some programs fill up fast!). Teachers can mention these programs again at the end of the year for parents who are interested but didn’t have the opportunity to enroll their children in the spring. The overall goal of summer language programs is to give bilingual children the opportunity to become comfortable with their languages. Using a target language with peers and adults outside the standard school setting can give bilingual children a new level of language confidence and freedom. Summer language programs give children the opportunity to explore the world through a language lens that may have been underutilized during the rest of the year. What are your experiences with summer language programs? What kinds of benefits have you seen for bilingual children who take part in these programs? How important do you think it is for summer language programs to hire native-speaking teachers? My sister was telling me that she might want her daughter to go to a bilingual preschool, but wasn’t sure what benefits it could have. I had no idea that it can actually help them learn a foreign language, and still be able to learn the basics. I know that I would want her to be able to exceed in her learning, and learn something new in the process.